This little show is sometimes an afterthought, but this year it is enjoying a little boost due to the lack of adequate parking at the Convention Center. The Simpson Street HUB is a great spot to park and take the shuttle in. 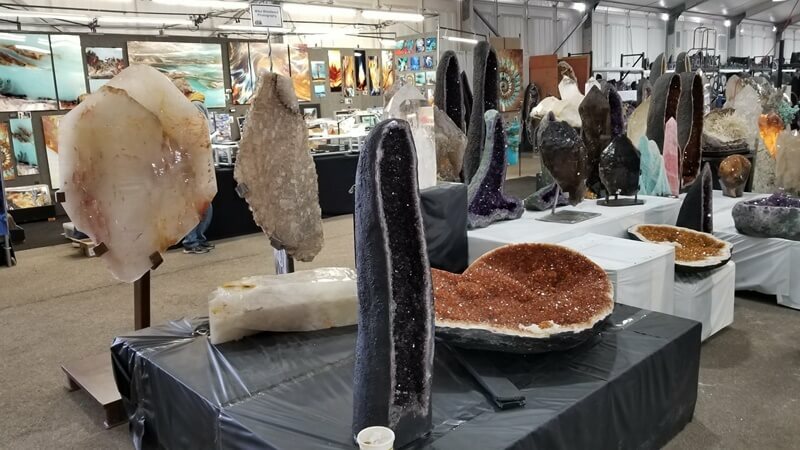 The first thing that you notice at this show is the incredible center of Cathedrals and Geodes...and this year I was happy to see so many Antique and Vintage Jewelry offerings (something that I feel is lacking in the Tucson offerings).